Most homeowners don’t think about every season when they’re furnishing their summer house. If you’ve installed new flooring at any point after the warmer months, you might find that it’s far less comfortable in warmer weather the following year. Amtico, flooring experts and specialists, have helped us create this short guide on choosing the right flooring for your summer house. If you’re wanting your summer house to be cooler than standing outside, stone flooring is an excellent choice. It keeps you much cooler and retains less heat, so direct sunlight won’t warm the room up as much as it would with conventional, heat-trapping flooring. Summer is the perfect time to spend time out in the garden as a family. However, it might be worth giving your garden a bit of an upgrade to make the warmer months even more enjoyable, and to give your family more reasons to enjoy the outdoor area you’ve worked so hard to create. Children love to play outside, but it’s easy to forget how dangerous a garden can really be in the rush of summer. Hard dirt floors, pools and bodies of water, pointy stones and patches of stinging nettles can all quickly ruin the fun for your child. Pressure washers use extremely high pressure water to clean just about anything from buildings to car motors and everything in between. Depending on which system you get, a pressure washer can produce anywhere from 750psi to over 30,000 psi just depending on the model you you’re using and if it’s a consumer or industrial system. A basic washer has a motor to power the water pump, a high pressure hose and a nozzle wand with a trigger style gun on the end so you can direct the pressure spray to the area you want it in. There is also a lot of different accessories you can get to utilize your pressure washer around the house on just about anything you can think of. You can even get attachments that will introduce a cleaning agent into the stream which works great for cleaning cars and house walls. The units available to the average customer can produce up to 2000 lbs of pressure like the Campbell Hausfeld PW1805 which produces 1800 psi. That’s a lot of pressure and will do just about any job around the home. If you need more power, you can look for a gas powered system which will produce about double what the electric systems do. If you still need more, you will need to look at a commercial system and be ready to pay a hefty price for it. Pressure washers are capable of stripping human flesh so if you’re going to use a gas powered pressure washer, you will need to use even more caution than an electric one because gas powered washers can produce double the psi over an electric system. 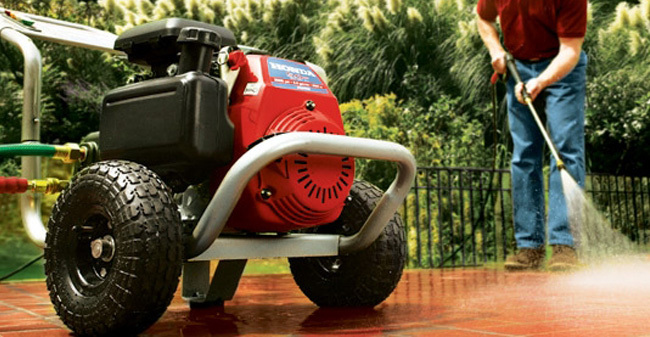 With gas powered systems, you get the mobility of being able to take the pressure washer where ever you need to and not worry about finding an electrical outlet or having to lug a portable generator around with you all the time. The drawback to a gas powered washer is you cannot use them indoors or in enclosed areas because of the exhaust from the gas motor. Electric pressure washers off the convenience of not having to fill the system with gasoline or have gasoline cans around the home. It’s a trade off because electric pressure washers are not as powerful and their counter parts, but with up to 2000psi output, they are powerful enough for most jobs you will ever need it for. When you start looking for the right pressure washer, you need to have a set price in mind for what you are willing to spend for it. If you budget your money and then only look at models that are in that price range, you won’t be tempted to overspend and get something with features that you really don’t need. I have been gardening for around 10 years now and each year I still learn something new and develop new practices in the garden. Part of the excitement and the enjoyment of gardening lies in the fact that you never know everything and that the best gardeners are not afraid to try anything! Some of my top tips are as follows, but in truth, most of what I do relies upon spur of the moment decisions, a ‘have a go’ attitude and judging things by how they look – plants that is, not people! If it looks right, it probably IS right, is a good motto to garden by. I hope these help. 1) Get outside as much as you can – know you garden in all the seasons and know exactly how it reacts. It is a ‘room’ in effect; it just doesn’t have a roof. 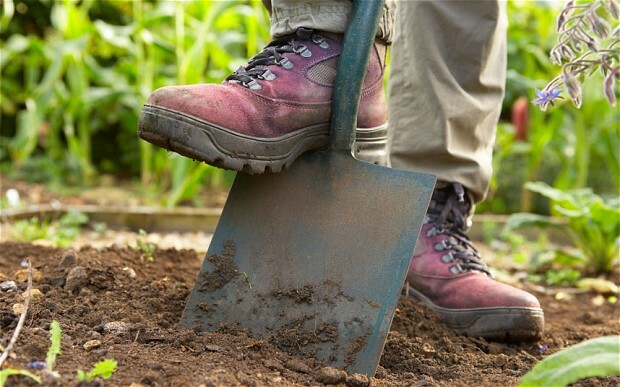 You wouldn’t abandon your kitchen, living room or spare bedroom – so don’t neglect the garden. Always wrap up warm and try to get out in the winter too. Kit up, get out and get gardening. 2) Buy good tools. This is explained in more detail in the ‘Tools’ articles on the site, but purchasing tools couldn’t be more important. When I choose a new tool, be it a spade, fork, pair of Secateurs or even gloves – it doesn’t matter what are most expensive, nor whose are shiniest or even who they are made by, I go for comfort time and again. If I can hold it well, I can use it well. A poor gardener blames the tools. A good gardener avoids those which give them blisters or are heavy! 3) Buy cheap plants and seeds by shopping around… quality doesn’t always come with high prices. If I’m after seeds, I shop for them at the end of the summer, when they are often on sale. If I am planning on purchasing plug plants I always order early to avoid disappointment and also to pick up on the special deals that many companies offer. If it’s shrubs that I’m looking to buy, then I seldom visit the garden centre. I would initially call in at a friend who has a good specimen during the summer and try to persuade them to relinquish some cuttings, and propagate them myself! If not, then visit your local market or car boot sale, as many good quality growers will be offering good plants at low prices. Here, choose plants without flowers, and with good leaves and root growth, gently knock the plant out of the pot and examine it if you are in doubt. If the grower objects, then it’s probably a bad plant. 4) Research your purchases and problems. Some of my most productive escapades have involved little or no monetary investment, but instead relied upon researching a little from the internet, on sites such as Organic Vegetable Gardening and then having a go in the fresh air. Big problems that might set you back hundreds of pounds in labour and costs, are far cheaper when conducted at a weekend with a group of friends. Keep some wine available and you have a pre-formed gardening team! 5) Enjoy it… I cannot stress this enough. If you are working in the frosty damp winters you’ll need a cuppa and a good sense of well being. It’s not a chore; it’s getting stuck in, getting fit, getting tanned and serving a multitude of purposes. Don’t knock it, have fun with it! Winter is the time of year when the nights draw in and the weather starts to get much colder. During this season, we’re always looking for ways to make our homes warmer and to save money. Of course, it helps if you’ve got double-glazing and an efficient boiler to start with. But if you haven’t or want easy ways to make your home warmer this winter, is there anything you can do? The answer’s yes. 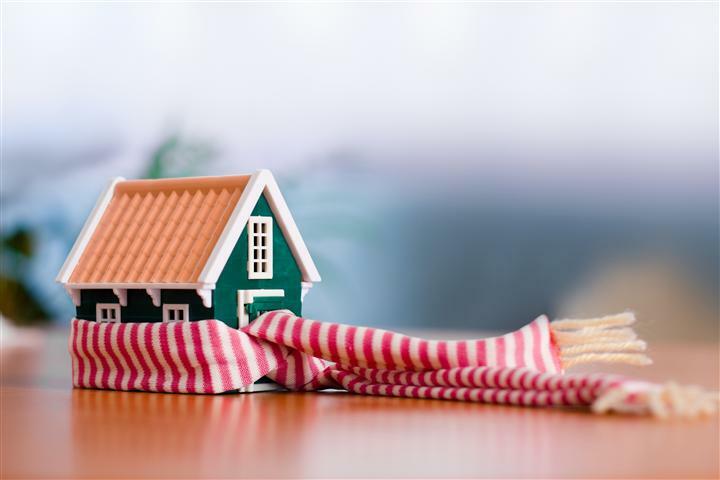 So here’s a few suggestions on how you can keep the heat in and the cold out of your home as the annual cold snap hits. Switch from traditional heating to LPG. If you use electricity, oil or solid fuel to heat your home, great savings can be made simply by switching to LPG. It gives you the advantages of mains gas and is convenient and easy to use. Have a look at Calor for details on how to switch and more about how what savings can be made by heating your home with gas canisters. For more information on Calor and independent customer reviews of energy providers in the UK please refer to: https://britainreviews.co.uk/experiences/energy. Seal up draughts. It’s important to seal any gaps in floors, doors and windows. Have roofing professionals check your siding and exterior insulation to ensure you are not losing unnecessary heat in your home. Put up thick curtains. Heavy, full-length curtains are a great insulator. Draw them shut at night in rooms you’re not using, as well as those you are, to keep your whole house cosy. Let sunlight in. Even though there may not be much of it around in winter, letting as much sunlight as you can into your house will still provide some warmth. Don’t close blinds or curtains until the sun is gone down. A tree in your garden or a hedge bordering your perimeter often ends up being a focal point; the first thing that will attract the attention of neighbours and visitors. If you don’t keep on top of caring for your trees and hedges they can soon become unruly and no matter how much time you spend taking care of your lawn and bedding areas they will be blighted by an untidy hedge. Ways in which you should take care of your trees and hedges varies both throughout the seasons and depending on the type of trees. Fruit and blossoming trees for instance should only be pruned at certain times during the year to ensure a bountiful crop year after year. Although you may be tempted to trim your trees during the autumn in order to prepare for the winter ahead this should be avoided. Damp weather and low temperatures and the prominence of fungi spores during autumn may increase the risk of disease for your trees. The best time for most trees to be pruned is actually at the end of winter, approaching spring. It is imperative that this is done before any buds start appearing on the branches otherwise you run the risk of cutting these off. When pruning your trees the easiest way to keep the growth consistent and maintainable in the following years is to maintain the natural shape of the tree. Younger trees, and species such as the weeping willow will require more of a dedicated pruning schedule. Although it is tempting not to prune trees that have seen growth slowdown, or ones which you would like to grow faster you will find that a regularly pruning will stimulate the growth of the branches and can offer a fuller tree. One of the most important tree tips you should consider is just how to cut the branches off the tree. Pruning itself is actually “wounding” the tree, a wound which the tree seals before growing a new branch elsewhere. If you prune your tree in the wrong manner you may find that future growth slows. Avoid cutting too close to the trunk of the tree where you may potentially damage the branch collar or the branch bark ridge. Winter of course can be a particularly dangerous period of time for trees, especially during periods of heavy storms where damage and uprooting may occur. If your tree gets damaged it is imperative that you address this as soon as possible. Treating minor damage may save the tree’s life, any major damage which may pose a risk such as uprooting should be addressed by a professionally trained arborist (we suggest using treesurgeon.org.uk if you’re looking for a local arborist). 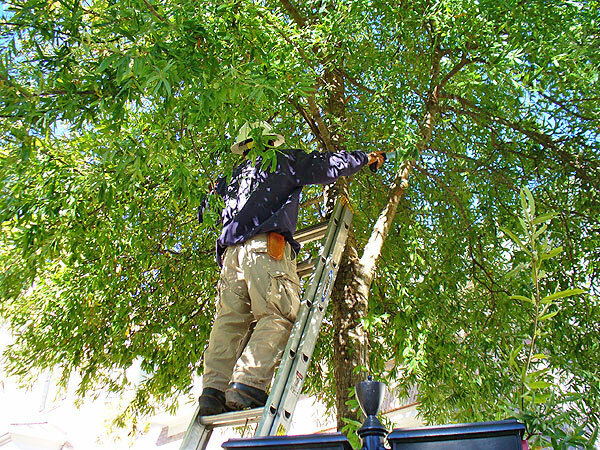 Regularly check your trees for signs of pests or disease, especially if you’re in the locality of a prominent pest or disease issue, or have a tree prone to diseases. Being on top of the potential threats may help you nip any problems in the bud before they take hold or spread throughout the garden. The Forestry Commission and related official bodies within your area will keep you up to date with the latest threats through releases on their website. Like virtually every other aspect of interior design, window blinds and curtains are subject to changing trends and fashions. Here is what is currently hot in the world of window dressing. 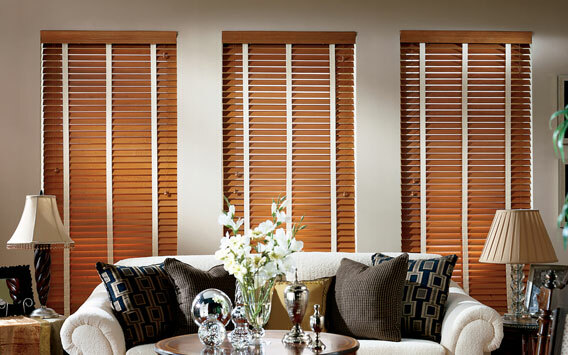 The first thing to note is that more and more households are selecting window blinds and shutters over more traditional window dressing options like curtains. Opting for made to measure blinds creates a tidier appearance of windows and reduces the amount of room needed to “store” coverings when not in use. The cleaner lines of made to measure blinds creates a neat finish to your rooms as a whole. Made to measure fabric window blinds are in great demand, and wooden shutters are also experiencing a resurgence in popularity as people look to add a touch of glamour to their homes. Increasingly homeowners are spending more on their window coverings to create an elegant look that will last for years to come. Many people are also now selecting multi-layer window blinds that incorporate blackout layers to reduce light seepage at night, while a sheer fabric layer allows sunlight into the room during the day. Simple and sleek designs are still by far the most popular however. An ever-increasing range of fabrics offer buyers a virtually unlimited choice of colours and designs for use with window blinds. Finding fabrics that match colour schemes for rooms is now as easy as finding good fabric for curtains has always been. Bold prints can create a focal point for rooms, whilst subtle pastel shades and stripes blend seamlessly into their surroundings. Striped designs are still the most popular of all fabric prints, although younger buyers are increasingly choosing bright, bold geometric or floral prints.